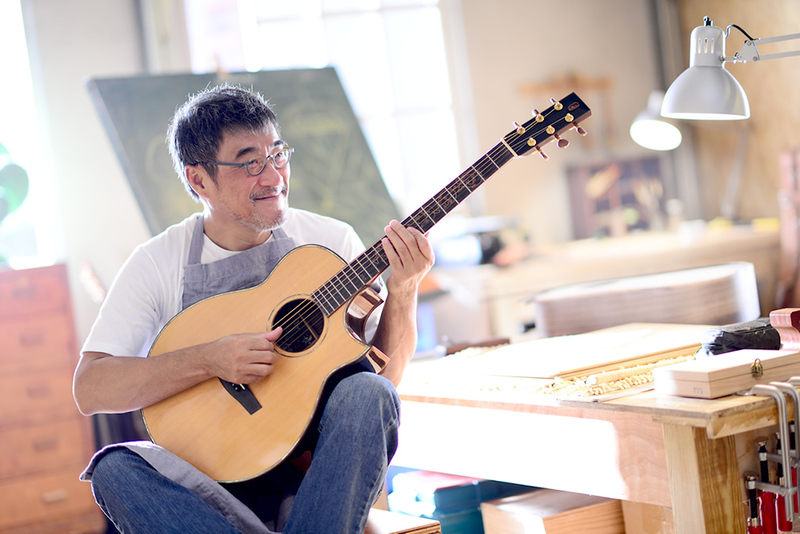 “I don’t know how far I can go, but I know if I don’t do it, Chinese luthiers will be absent from the pop music history.” Said by Jonathan Lee in 2002, the year that Lee Guitars was established as a new music journey for himself. 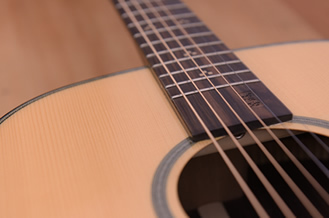 There are numerous unforgettable songs in the Chinese music world, but there was never a Chinese guitar brand that was affirmed and recognized by any music professionals. 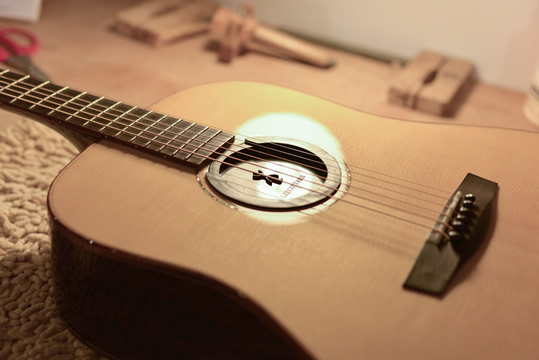 To make a good guitar for any composer has been a dream of the senior musician Jonathan Lee. He insists of pursuing his dream wholeheartedly as he creates his own music, and he pours all his attention and devotion into his new luthier career. The purpose of Lee Guitars is to create a guitar that blends well into the unique culture in the East in terms of design and sound. Let’s start from the design for hand gesture: guitar is an instrument from the West and the outline of its body is designed for the hand of a westerner. That is why many Asians face a really hard time in the early stage of guitar learning: the design did not fit them physically. 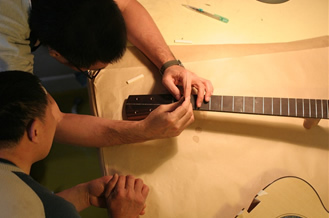 Therefore, Lee Guitars adjusts the width of finger board and create a thinner neck which makes it easier for Asian hands. 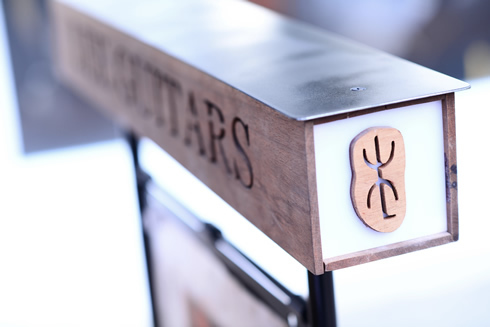 In addition, if you take a closer look of the headstock of our guitar, you will see a cut-out brand logo on it that allows the light to pass through and create interesting shadows when the guitar is held in different angles. Moreover, Shenshi (Mindful Start) and Zhifu (Wait in Patience), terms originated from Chinese classical literature, both have embossed Chinese characters on the finger board which were the names given and written by Jonathan Lee in person, a expectation and encouragement for all guitar players. 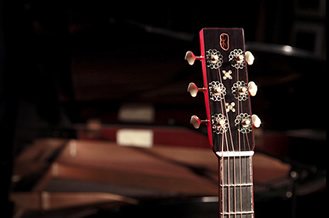 If you are interested in our guitars, please visit Product｜吉他Guitar page. We also produce products for your guitar, more information, please visit Product｜吉他周邊 page. Jonathan Lee not only expresses his sentiment to surroundings in music but also in his designs. Here are the stories of his two design labels. When you grow mature, you are no longer disturbed when you see “delay” on the schedule board in airports or train stations. You say to yourself: “Okay, here it goes again.” Jonathan Lee spends 200 out of the 365 days in a year traveling and seeing delays becomes a part of his life. He has learned to see “delay” in a more peaceful way and even come to a deeper understanding of the term. It comes late, but eventually it arrives. This illustrates how Jonathan Lee works on his designs perfectly. Take his T-shirt designs as an example: in order to meet the exact requirement of its quality and design concept, Jonathan Lee works in person through all the details. With countless times of drafting and adjusting the designs from the manufacture of fabrics to that of the final graphics, he never takes deadline into consideration, and the results are each and every piece of apparels that we are truly proud of. More details about LATE ARRIVAL, please visit Product | LATE ARRIVAL . Did you ever pay attention to the tool bag that an electrician or woodworker wear? It could be a ragged bag, but a strong and firm one, holding all kinds of tools and components inside but scars and traces carved by the time at the outside. These professionals never care about how dirty it is but they respect it as a partner in life. 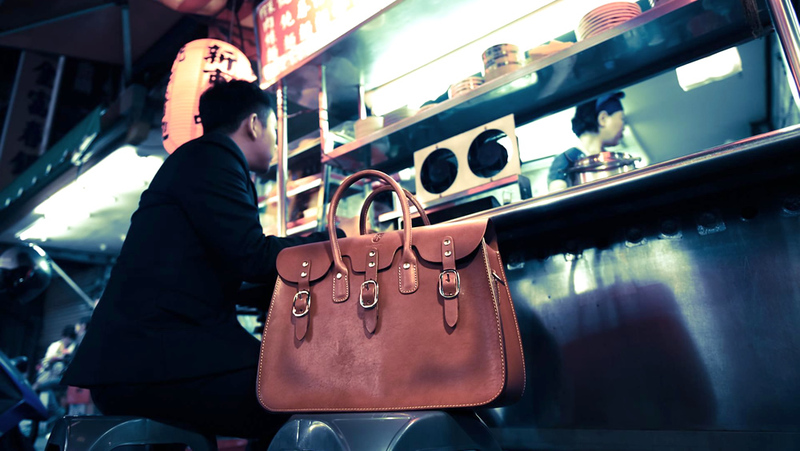 Being there to witness every moment of life: this is the idea of Lee’s designed bags, that is why it is called Sweat & Tears. 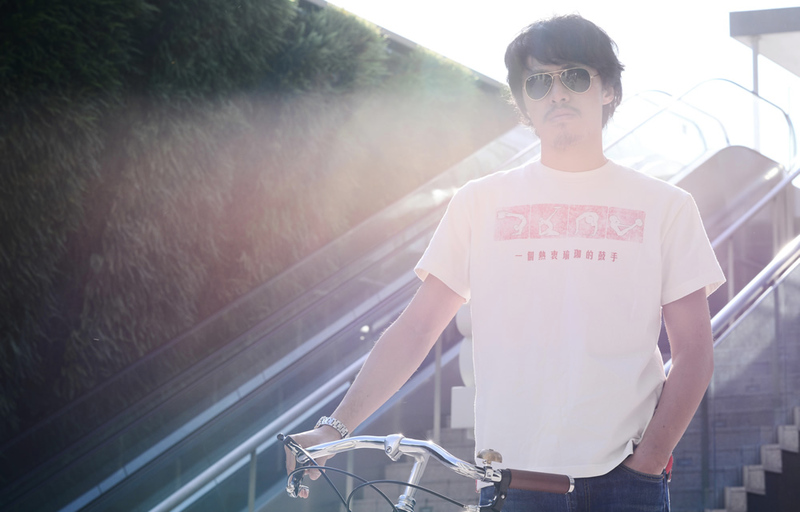 More details about Sweat & Tears, please visit Product | Sweat & Tears . If you have any feedbacks or suggestions, please visit Contact Us page and leave a message. 京ICP备09023007-1 版權所有 2015 Lee Guitars. All rights reserved. Designed by TARGET.